Abraham is an Ioway Tribal member. He is the son of Renee Lincoln. He grew up in a traditional and cultural based family. He has been at the aviary since the summer of 2007 when he began volunteering at 12 years old. Abraham has many ties and connections not only with the Iowa Tribe of Oklahoma but many tribes throughout the state. Along with Abraham’s role at the aviary, he was also elected as Vice Chairman for the Ioway Tribe of Oklahoma Gaming Commission. 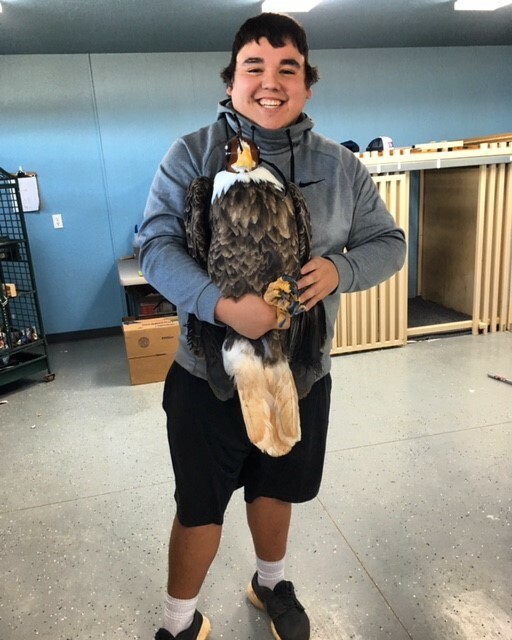 At the GSEH, Abraham aids in assisting the Iowa Tribe and other tribes with information regarding regulations pertaining to Native Aviaries, eagle feather distribution, and tribe to tribe interactions with the aviary.